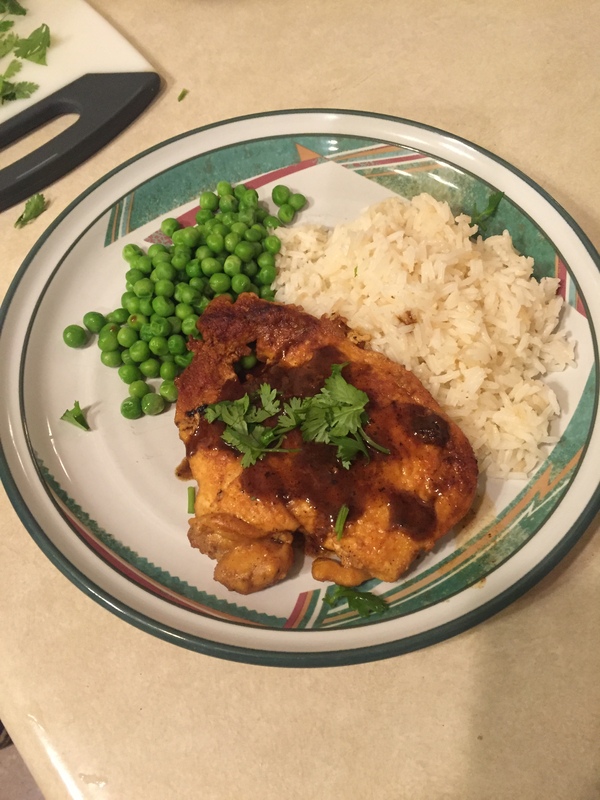 Tonight I made Chicken Piccata, Jasmati Rice with Garlic and Shallot and Peas for dinner. It turned out very good, so I thought I would share it with you. 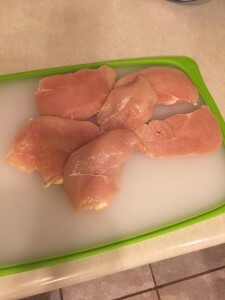 Butterfly the chicken breasts. 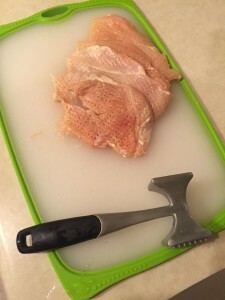 Cutting them in half will will allow you to pound them, with a meat tenderizer, to the desired 3/8″ thickness. Now this is the fun part! Using your meat tenderizer, pound the chicken to approximately 3/8″ thickness. 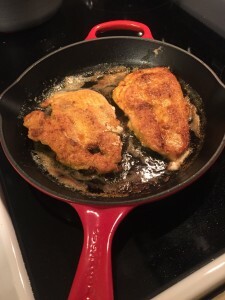 Season chicken with salt and pepper and prepare the flour/spices dredge. 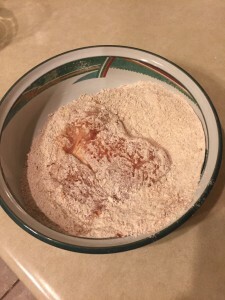 For my dredge I include Onion Powder, Garlic Powder and Paprika. 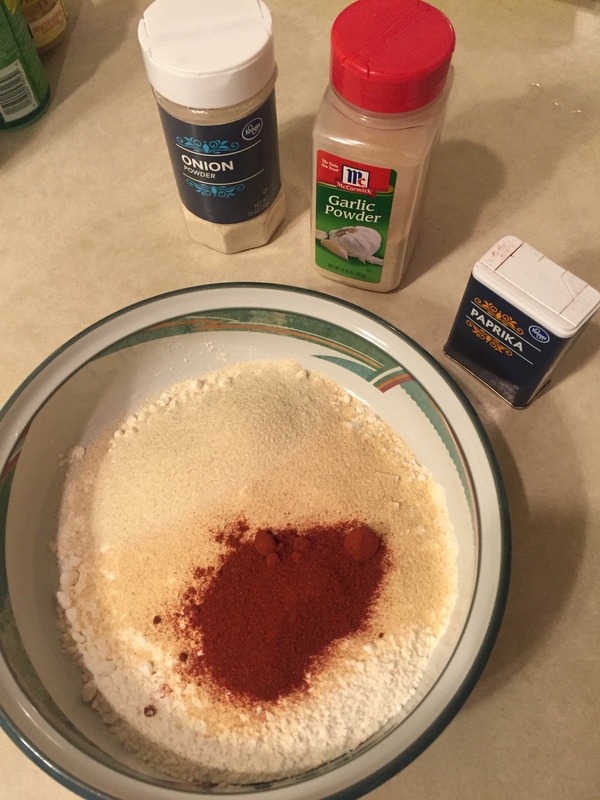 You can include cayenne pepper and season salt if you wish. I like to keep it a bit simpler so it doesn’t mask the flavor of the chicken. Dredge chicken in your flour/spice mixture and shake off the excess. 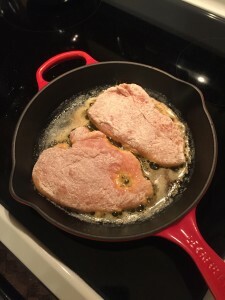 In a large skillet over medium high heat, melt 2 tablespoons of butter with 3 tablespoons olive oil. When butter and oil start to sizzle, add 2 pieces of chicken and cook for 3 minutes. When chicken is browned, flip and cook other side for 3 minutes. Yum! It looks delicious just like this. But, I’ll be patient and wait for the sauce. 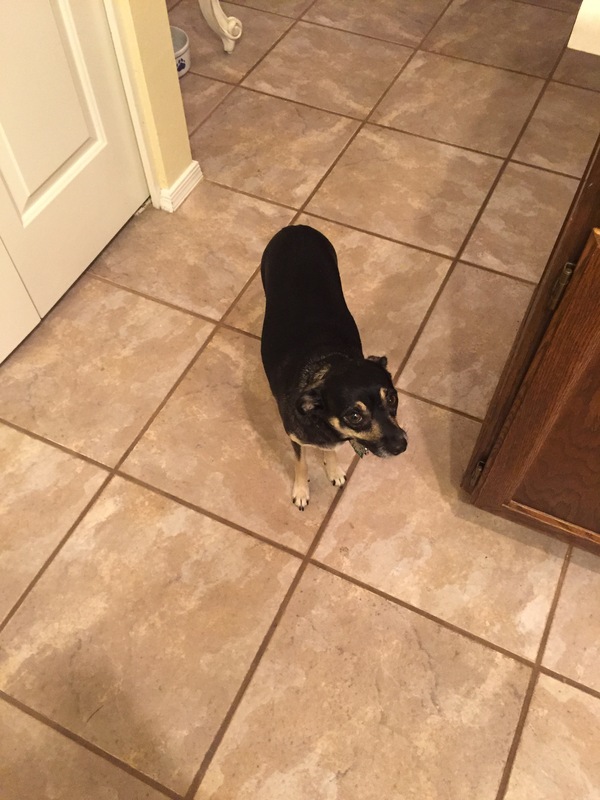 Rosie decided to join me in all the wonderful smells. Remove and transfer to plate. 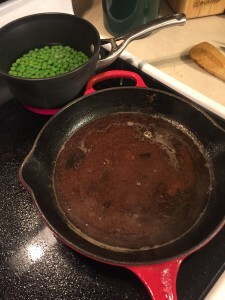 Melt 2 more tablespoons butter and add another 2 tablespoons olive oil. 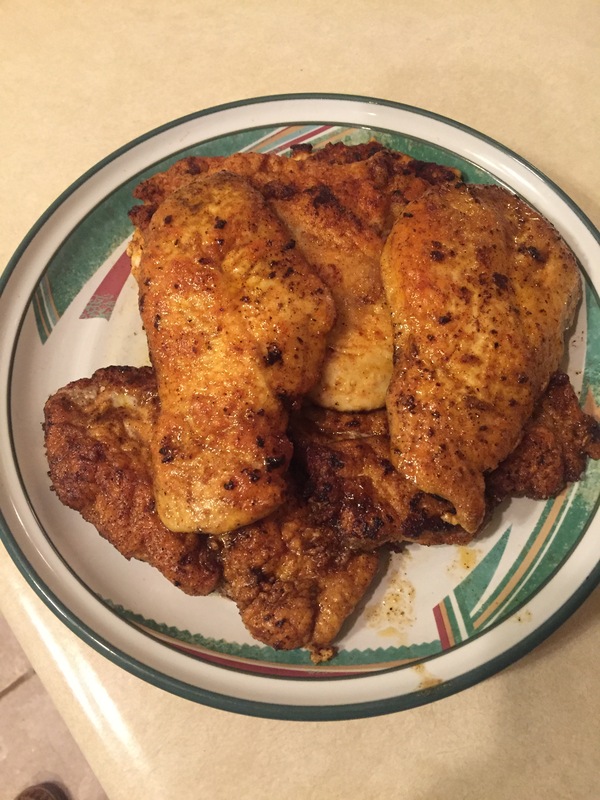 When butter and oil start to sizzle, add the other 2 pieces of chicken and brown both sides in same manner. Repeat this with the last 2 pieces of chicken. Into the pan add the lemon juice, stock and capers. For this meal, I left out the capers. I just didn’t have any in my pantry; but I do recommend using them if you can! Return to stove and bring to boil, scraping up brown bits from the pan for extra flavor. Check for seasoning. 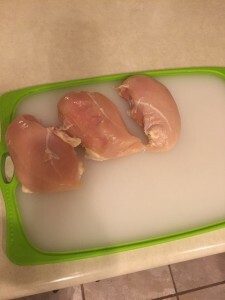 Return all the chicken to the pan and simmer for 5 minutes. 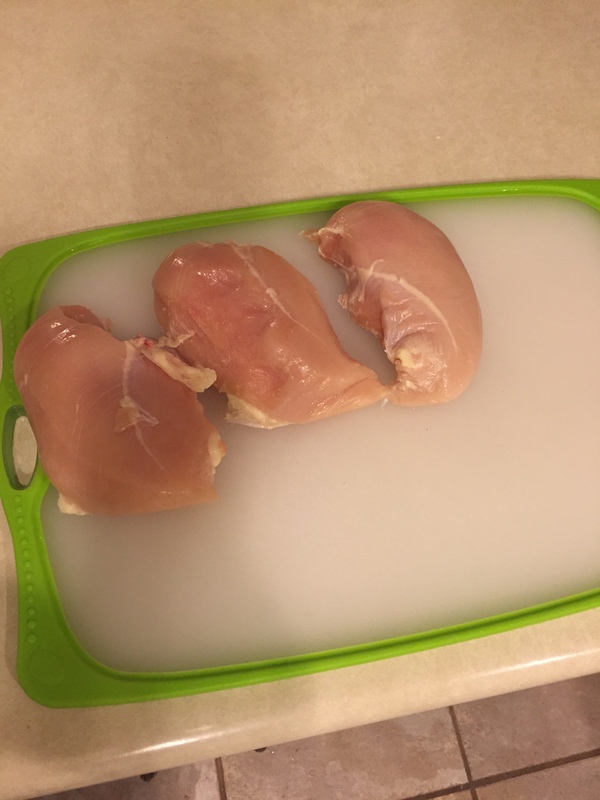 Remove chicken to a platter. Add remaining 2 tablespoons butter to sauce and whisk vigorously. Plate the chicken, pour sauce over chicken and garnish with parsley. 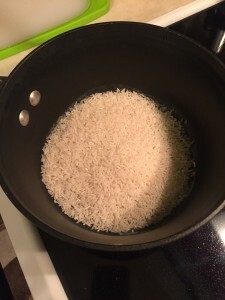 The Jasmati Rice is super simple. 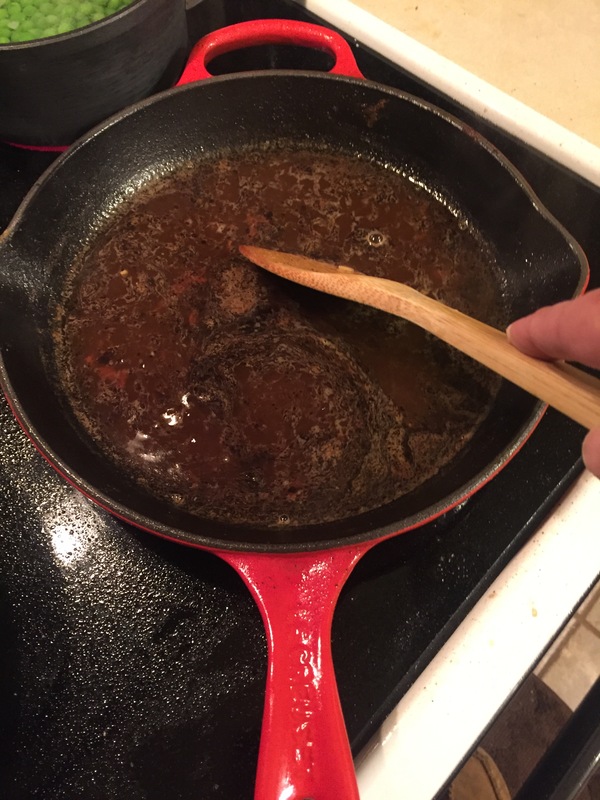 I kick it up a notch by saute’ a finely diced shallot and 1 garlic clove. Once your shallot and garlic are ready, add 1 cup of Jasmati Rice. 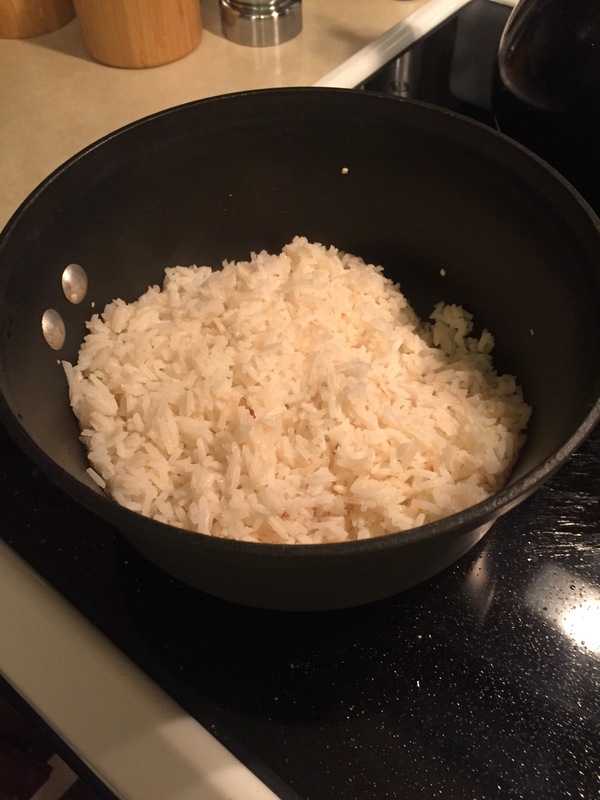 Allow the rice to cook for 3 to 5 minutes. This allows the rice to blossom and elevate that nutty flavor. Add 2 cups water and a pinch of salt, then bring to a boil. Turn your burner down to simmer, cover the rice and cook for 20 minutes. When done, remove from burner and allow the rice to rest for 10 minutes. Plate the chicken, rice and peas. 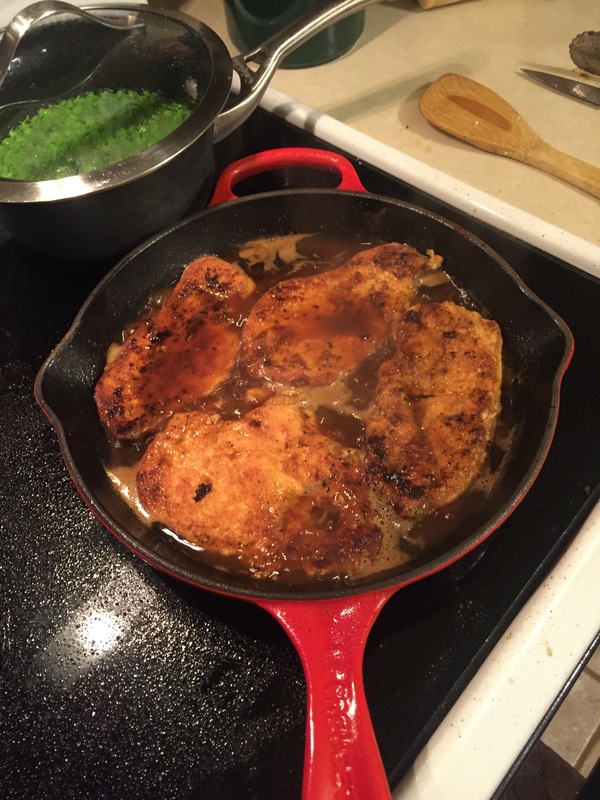 Top the chicken with sauce and enjoy!